This show was designed for cruise-ship audiences. It’s a suitcase act with lots of comedy and completely family friendly. It’s geared towards families, so all ages will enjoy the show. 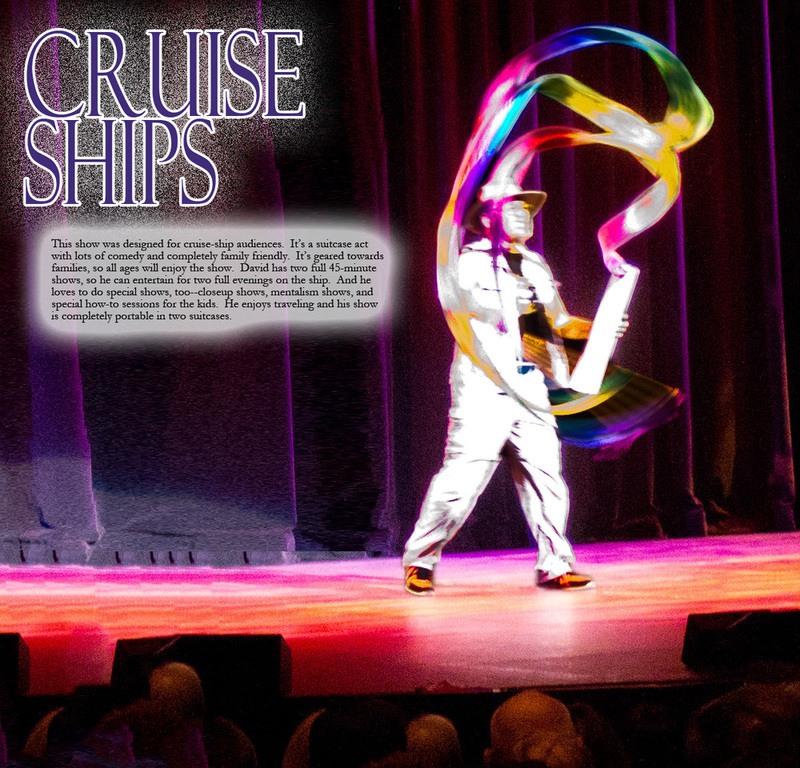 David has two full 45-minute shows, so he can entertain for two full evenings on the ship. And he loves to do special shows, too--closeup shows, mentalism shows, and special how-to sessions for the kids. He enjoys traveling and his show is completely portable in two suitcases.